For many pet owners, dogs are more than just another furry companion. They are a source of joy, happiness, and bliss, making it impossible to not want the best for them. To ensure that your dog is mentally and physically fit, it will take a lot more than playtime and belly rubs. 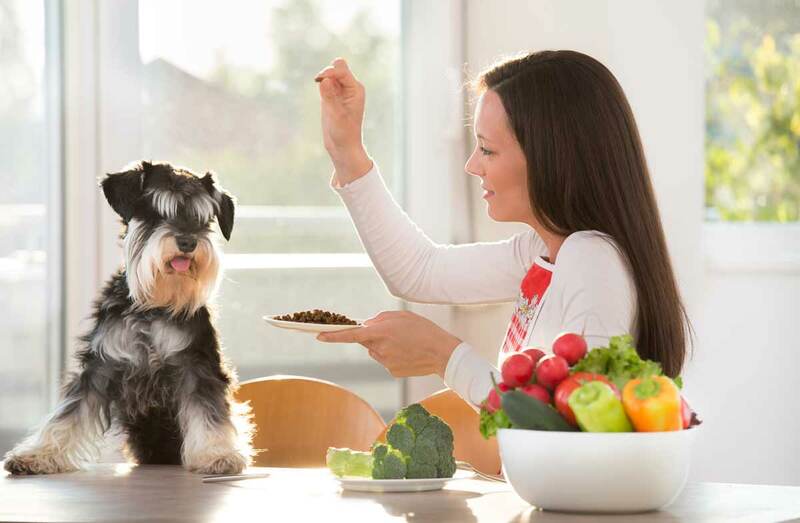 The type of food that you give your dog plays a key role in his well-being. And, most of the time, conventional dog food won’t be enough. This explains why supplements have flooded the pet food industry. However, as with all unnatural medications, it can be difficult to determine whether the chemicals incorporated in them are safe. This makes organic products like CBD dog treats a better alternative. CBD dog treats give your dog all the health benefits without exposing them to any toxicity. This article provides an overview of how CBD dog treats work, the benefits they offer, and examples of healthy CBD treats for your pup. CBD has become the go-to alternative for patients diagnosed with different ailments and those seeking relief. As researchers dig deeper, more information regarding the benefits of CBD oil to pets has come to light. In fact, one survey carried out by the American Holistic Veterinary Medical Association revealed that between 62 and 95% of pet owners endorse the medical perks of CBD dog treats. This is not surprising considering that most CBD treats are completely toxin-free. In particular, these research studies have proven that CBD has little impact on the brain’s CB1 and CB2 cannabinoid receptors. Usually, these are the receptors most affected by THC, which is the cannabinoid responsible for psychoactive effects. As such, pet owners don’t have to worry that their dogs will experience a “high” upon taking CBD treats. The only way CBD treats will affect your pup’s mental functioning is by relieving anxiety and pain. But why should a pet owner opt for CBD treats instead of CBD oils? Different pet owners have their own reasons for choosing CBD dog treats. However, one of the most common reason is the fact that CBD oil has a naturally bitter taste, meaning that you shouldn’t expect your pets to line up to get their daily dosage. Some pets refuse to take the CBD oil entirely, causing them to miss out on the potential benefits of this medication. But this does not have to be the case any longer. 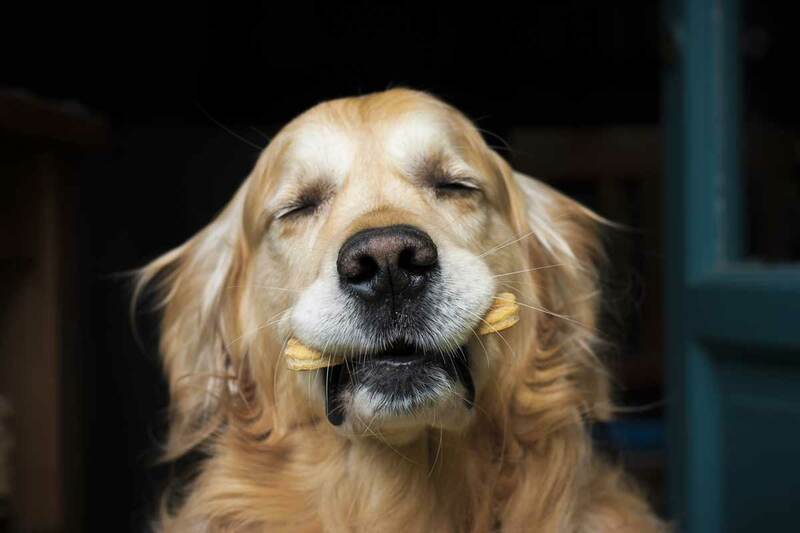 CBD dog treats and biscuits pack the same benefits and they taste much better. Although the effects of CBD might take longer to kick in since they’ll have to go through their tummies, they are as beneficial as CBD essential oils. What Is the Right Dosage of CBD Dog Treats? When administering CBD dog treats, you have to be careful about the amount you’re giving to your dog. With CBD oils, dosages are measured using a number of drops. With biscuits and other treats, this dosage will vary depending on the specific brand you are using. For instance, the Canna-Pet Canna-biscuits contain about 80 mg of hemp extract for each biscuit. However, remember that this dosage recommendation is only specific to the Canna-Pet Canna-Biscuits. Before giving your pooch any CBD treats, be sure to check the dosage guidelines given by the manufacturer. The main ingredients in these biscuits are organic barley flours, organic cinnamon, cannabinoids extracted from hemp, organic maple powder, and cured bacon. Each one of the Canna-Biscuits constitutes a blend of hemp cannabinoids and terpenes, which include but are not limited to CBD. However, the key highlight of this dog treat is the bacon flavor, derived from real cured bacon. If you want your pup to enjoy CBD treats, don’t go for fake bacon flavor, choose ones that have real flavors like the Canna-Biscuits. This CBD dog treat contains pumpkin, brown rice flour, coconut nectar, coconut oil, apple, hemp seed oil, and numerous phytocannabinoids derived from hemp. Each of these tiny bone-shaped biscuits consist of 1 mg of CBD and they boast real pumpkin flavor. Considering that they also have peanuts, your pup will surely love the peanut butter taste of these biscuits. The best thing about this dog treat is that hemp is not the only beneficial ingredient. These biscuits are enriched with turmeric and coconut, both of which confer anti-inflammatory attributes to your dog. Plus, they are completely gluten-free and, therefore, suitable for pups with sensitivities. Some of the ingredients in the RxCBD dog treats are white rice flour, nutritional yeast, potato flours, canola oil, cage-free eggs, industrial hemp oil and more. If your dog prefers gluten-free products, these tasty biscuits made with chicken option are another option to consider. Some dog breeds have a tendency of rejecting treats from strangers just because they don’t smell nice. On the other hand, going for juicy meat treats that smell nice is that they might leave stains. Thankfully, the RxCBD treats offer the best of both worlds, that is, they have a remarkable taste and yuck-free packaging. The only ingredients in this dog treat are water, egg, whole wheat flour, bacon bouillon, and hemp CBD. Each of the Pharma biscuits has about 4 milligrams of CBD, which is one of the highest CBD content in any dog treat. One thing you’ll notice about the hemp bacon dog treats is that they contain very few ingredients. This straightforward formula not only makes the product cheap but also ideal for dogs with sensitivities. So, if you’re looking for a simple CBD treat with nothing more than the appetizing bacon flavor, the Pharma CBD dog treats are your best option. CBD is legal and completely safe for pet consumption. The CBD incorporated in dog treats is always extracted from hemp and not marijuana. Hemp-derived CBD contains zero THX, which is the high-inducing element present in cannabis. If you’re already using medical marijuana to treat a certain ailment that you have, you should never make the mistake of giving your pooch the same medication. Marijuana contains THC, which can be fatal if ingested incorrectly. Even though your dog is likely to love CBD dog treats right off the bat, it’s crucial that you introduce them slowly, and in small doses. This way, if your dog reacts negatively to the treats, he won’t suffer too much. However, if he’s responding positively, you can continue increasing the amount until you find the perfect dosage. When you fall ill, you usually look for the best medication. It shouldn’t be any different for your pet. So, if you’ve decided to treat your dog’s medical condition using CBD treats, be sure to purchase from reputable online sources. Whenever possible, buy from brands that have a good reputation and ones that specialize in making pet foods. A common myth surrounding CBD dog treats is that they should only be administered to dogs that are ill. In actual fact, CBD dog treats offer a ton of health benefits to dogs, regardless of whether they are sick or not. But before purchasing any CBD treat, do some research and buy only from reputable brands. Most importantly, ensure that you’re buying hemp-derived CBD since the one derived from marijuana may have traces of THC.